This month we see new and old traditions come to life while paradigm shifts set originality in motion. Cultural heritage and cutting-edge technology both have places in the future. Complex ranges of color add depth to surface interest. Material experimentation has yet to slow down. Fresh knits and weaves intrigue us. The art world influences the marketplace with social engagement. Dance becomes a manner in which to promote textiles. Get inspired with the December edition! Multiple European Cities — Materials are still a red hot topic for multiple sectors. Whether raw and straight from the earth or more refined by human experimentation and culture, creatives are playing with ingredients, innovating with weaves and knits, and taking advantage of the full visible spectrum of color with the latest dyes and printing technologies, all while still holding on to heritage and craftsmanship. London — On Monday, November 23rd we had the distinct pleasure of attending the Thai Classical Music Concert in celebration of the 60th birthday anniversary of Her Royal Highness Princess Maha Chakri Sirindhorn of Thailand where “The Four Regions Textile Dance” was performed not only to showcase musical talent and dance, but also to demonstrate the strong heritage of Thailand’s fabrics, which provide a sustainable living for many of its people. See some examples of the materials here. Multiple European Cities — From another galaxy to the landfills of our planet, designers and manufacturers are taking advantage of handcraft skills and dyeing technologies to bring forth soft floor coverings as detailed as a photograph. The moon, architecture, trees, and centuries-old artwork are making their way onto floors around the world. Which design will lie on your floors? Worldwide — Raw materials are hot. Stone and marble, wood, straw, clay--any number of resources coming straight from the earth. 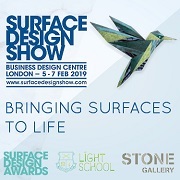 We saw it at a number of global design events as well as in the Maison&Objet trend forum and also coming up for Heimtextil 2016 in the ‘Nourish’ segment of Well-Being 4.0. Natural linen falls snuggly within these design directions for the next seasons as seen here with upholstery, lighting, bedding, and other interior applications. 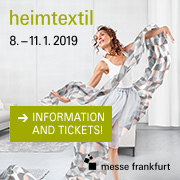 New York — The Heimtextil Theme Park is providing some rather out-of-the-box inspiration prior to its show this coming January. Much of it is not even textile related; however, the astute mind understands the connection to the softer side of things. 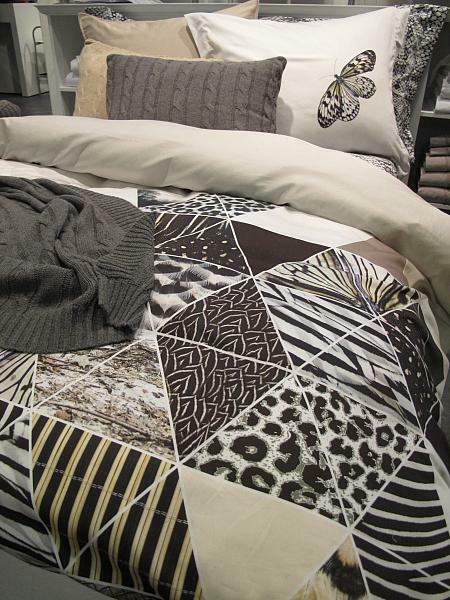 We can see an application for such slumber bugs (as seen in the gallery) in a world where textiles are the king of the bed, next to the dreamer, of course. Worldwide — Business models around the world are changing and creating paradigm shifts. One such example, launching in February 2016, is Project Art: the Social Arts Market. Interior design may never be the same with this democratic art platform. This generation is not content with the status quo of buying and investing in artwork, feeling that it is elitist and far more difficult than it needs to be. Who Inhabits the Secret Garden? Multiple European Cities — Multicolored combinations and flirtatious pastels don the textiles and ceramics in this secret garden. Photorealism and complex color palettes enliven butterflies, dragonflies, and Jacobian flower styles that decorate fabrics, rugs, curtains, upholstery, decorative pillows, stationery, and ceramic dishes, jugs, as well as coffee cups in this gallery. Multiple European Cities — In this week’s newsletter discover production techniques of the future: awe-inspiring, eco-friendly, and out-of-the-box. Within this gallery subscribers can take a closer look at home accessories made from alternative uses of sugarcane, coffee cups from recycled grounds, and a range of heat-holding vessels perfect for the colder season. Berlin — It is the traditionally the slowest week of the year between Christmas and the New Year, so we leave you with this newsletter of holiday cheer from the streets of Berlin exploring the Christmas markets and we wish you the warmest of times, no matter which holiday you celebrate. Trendease will return to your inbox with a brand new edition for January 2016 on Monday the 4th.